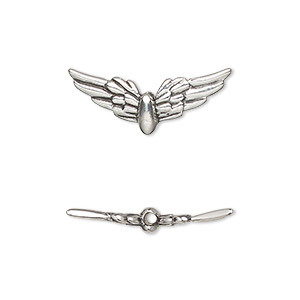 Wings are popular design elements when creating uplifting jewelry designs. Beads are antiqued to heighten details. Charm is bright sterling silver, loved for its precious metal gleam. Bead, antiqued sterling silver, 24x6.5mm double-sided wings. Sold individually. 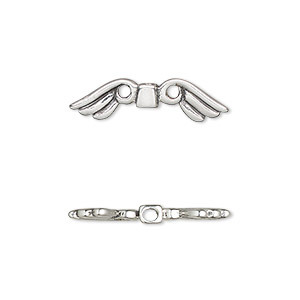 Bead, antiqued sterling silver, 24x9mm double-sided wings. Sold individually. 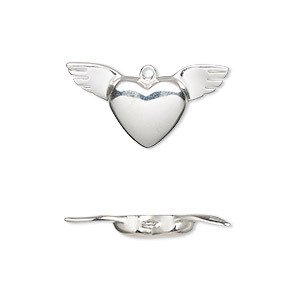 Charm, sterling silver, 24x12.5mm single-sided heart with wings. Sold individually.